Choosing a petsitter is a considered process. Your pets and especially your dogs need care and companionship. They are intelligent and sometimes needy pets. Here are a number of special considerations that might influence your decision. In particular, we offer a few points to review before deciding whether to pay for a professional sitter or an experienced and checked free housesitter via this site. Your own situation, your pets’ age and health, your property particulars and budget will all influence your decision. Read this blog to consider the approach that will suit your own particular situation. 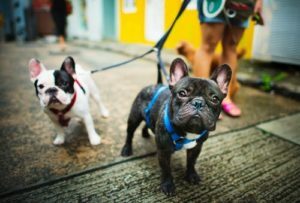 How do you go about choosing a petsitter? Whether you are hiring a qualified pet sitter or looking for a free dog loving houseesitter consider the following. A paid professional might offer a fast solution for finding qualified care for your pets. If you are working for long hours or travelling for extended periods this is a fast way to find a sitter. And there are other options when choosing a petsitter for your dogs. Have you considered housesitting? 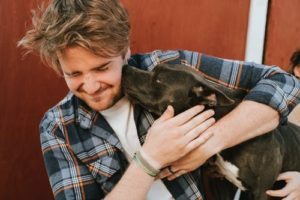 Using a reputable housesitting platform like Housesitmatch.com you’ll find dog lovers willing to exchange their time to care for your pets for free. With this option your pets remain in their own home, mainting familiar routines and their favourite walks. They also enjoy the care of experienced housesitters who love dogs, with published references confirming the fact. Often the sitters are semi-retired or retired professionals. They housesit as a way to experience new locations or to enjoy the company of dogs when they no longer have pets themselves. Concerned about the well-being, longevity, and health of your dog? Read on for key points to consider when choosing a petsitter. How critical is it when choosing a petsitter to look for someone who has a string of qualifications in pet care? The health and condition of your pets will influence your thinking when considering the need for qualifications or experience. A ‘meet and greet’ between pet and sitter is also something that we recommend. The meet and greet is an excellent opportunity to get to know the individual, and for the petsitter to ask questions about the pets. Ask about their experience. How long they have been offering pet sitting services and the fees they charge if they are professional. Take your time to talk to several sitters and only settle once you get one that meets your specific needs. Your budget may influence your choice, today there are options to the local dogsitter or dog walker who will take in your pet. Once you meet the pet sitter, check how they get on with your dogs and if they show the right energy for your pets. Some dogs may need someone with soothing power while others do much better with an energetic upbeat person. You can also ask the sitter to take your canine friend for a walk and see how they manage. This will give you an opportunity to see how they handle the dog, particularly if your dog is big and strong and you’re worried it could run away. This is also the perfect time to ask questions about any training techniques used by the pet sitter, if you have a dog or puppy in training. If your dog uses a particular type of training collar ensure that the pet professional knows how to use it. Breedsy suggests that a pet collar should not apply pressure on the dog’s throat since it can cause neck complications and tracheal collapse in some dogs. All professional and qualified pet sitters should always carry their pet sitting insurance. And if this is important to you then make sure you see the documents. Insurance can be an important consideration if you prefer a professional sitter. If you have multiple dogs especially dogs with health issues there will be extra demands on the sitter. If you are choosing a petsitter to care for number of dogs who need special attention or very careful handling then this will be important. You should hire professionals from a reputable firm. The important thing when hiring or choosing petsitters is to look for reviews and client’s testimonials on the relevant platform or in social media. Customers usually offer reviews about their experiences with hiring businesses. All professional pet sitters should also be able to provide you with references upon request. On the housesitting platform HouseSitMatch the housesitter reviews are displayed on the sitter’s published profile. Each time you travel away from home, whether for a holiday or business it’s normal to worry about your pet. Choosing a petsitter ahead of time, in a considered way will minimize the worry. This is especially true if the petsitter has published reviews and references on an established housesitting platform like HouseSit Match. An established housesitting platform like Housesitmatch will help you to ensure the petsitter have your vet’s emergency number before you leave home in case of an emergency. For additional confidence, ensure that your pet insurance policy is up to date, to help pay for any injuries or medication your dog may need when you are away. If you haven’t yet tried housesitting and want to be a house sitter to exchange your pet and home care skills for free accommodation around the world register as a house sitter on our HouseSitMatch network. We ID check you as part of your membership package and help you to build an awesome profile online.